Paul Graziani is CEO and founder of Analytical Graphics, an Exton, Pennsylvania, company that develops software and provides mission assurance through the Commercial Space Operations Center (ComSpOC). Since we first started placing objects into space there have been 11 known low Earth orbit collisions, and three known collisions at geostationary orbit. 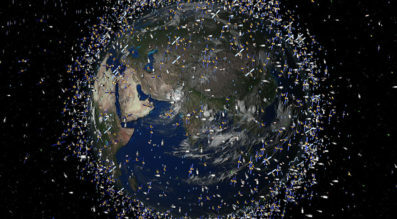 Think of it: 135 space shuttle flights, all of the Apollo, Gemini and Mercury flights, hundreds of telecommunications satellites, 1,300 functioning satellites on orbit today, half a million total objects in space larger than a marble, and fewer than 15 known collisions. Why do people worry?